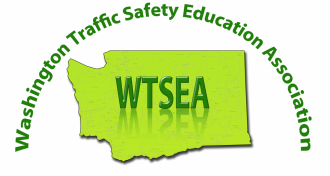 ​As we get closer to registration for the summer 2018 session, I wanted to contact those of you who inquired about the traffic safety classes offered through Central Washington University. The dates for summer session are June 18 to July 27 (most of our courses will end July 26) and will be offered in Bellingham, WA only. There are two main things that need to take place relatively soon. The first is to apply for summer school through CWU. This can be done via the web at: http://www.cwu.edu/registrar/sites/cts.cwu.edu.registrar/files/documents/Non-Matriculated_Application_Form.pdf Most of you will be non-matriculated students. If you have difficulty or need assistance with applying or registration issues, contact Dawn Varnum (registrar’s office) directly at 509-963-3033. Once you apply for summer school, you will be given a CWU ID, pin #, etc. Please let me know via email at calahans@cwu.edu when you have completed this. I will then give Dawn the “ok” to register you in the courses. Please note registration begins April 30th. We are expecting a full class and enrollment is limited. June 22 8:00 a.m. – 5 p.m.
July 3 5:30 p.m. – 8:30 p.m.
July 5 5:30 p.m. – 8:30 p.m.
July 17 5:30 p.m. – 8:30 p.m.
July 19 5:30 p.m. – 8:30 p.m. Contact instructor Alex Hansen at ahansen543@gmail.com or 253-381-5311.